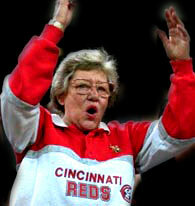 Marge Schott, as we mention at the top of The Smoking Section, was not an easy woman to like  at least not from a distance, not through the media's unforgiving lens. But in noting her passing in early March, we at Turbula can't help but note that everyone who actually knew her has only good things to say  even African-Americans, who presumably were most hurt by some of the dumb things she said. Hometown favorite and likely Hall of Famer Barry Larkin, for instance, said, "I think people are remembered for the good things they do when they're gone. Now that she's gone, they will remember the parties she had to raise money for kids, her involvement with the zoo, her giving to minority programs. She gave to minority programs before her racist comments came out." And former Reds pitcher and current broadcaster Rob Dibble (a man who knows something about a big mouth getting you into trouble) wrote, "The Marge Schott who I will remember dedicated countless hours to numerous charities, helping raise money (and donated plenty of her own) to children's hospitals, inner-city school programs, the Cincinnati Zoo, organ donation and the list goes on." While not excusing the dumb things Marge said, what kind of "journalist" calls a sports owner out of the blue and asks her her views on Hitler? That's nothing more than digging for dirt with no larger purpose. As Dibble pointed out, Marge's biggest mistake may have been in being born a woman in a man's world. When Major League baseball suspended her for her comments, the question that was never asked that we were most curious about was this: If a male owner had said something dumb, would you have suspended him? TV analyst and erstwhile golfer Ken Venturi is making headlines, and not for his swing. 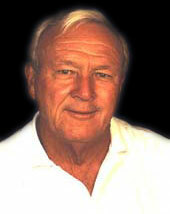 Venturi has renewed allegations in a new book that golfing legend Arnold Palmer cheated during his 1958 Masters win. This isn't exactly news  Palmer's decision to play two balls while appealing a denial of relief was covered at the time. But Ken Venturi isn't exactly a household name  not going to sell too many copies of a book by an author most people haven't heard of. Throw in a little dirt on a man who helped make golf the popular sport it is, though, and now you might sell a few thousand more copies.